Now I can say I’ve played Pickleball in the center of the pickleball world! First of all, because they told me so. 🙂 That has to count for something. And because the mayor of Kalamazoo officially proclaimed it and they show me the official certificate. They even have video to prove it. Most importantly and the surest indicator? It felt like it. From the minute you walked into the Portage YMCA, the music was blaring, the pickleball courts were overflowing with players and you knew you were in for a good time. 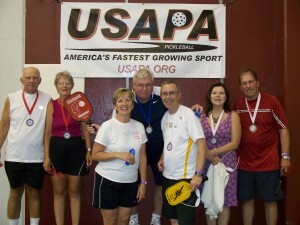 Melissa Muha, Bob Northrup and their team of pickleball crazies delivered a top notch pickleball tournament. Food, fun and tons of pickleball. The first night started with speed skills drills which had the courts packed with players learning and practicing all the basic pickleball shots. Next came the Crazy Mixed Up Doubles where every player changed partners every 10 minutes while accumulating points toward prizes. This was a fun way to meet new friends and get some practice in for the next days main event. Had great fun introducing Barb Ackerman and DJ Jacobs to the Indiana Soft Game (believe it or not, Arizona did not invent it). So now we have two new soft game believers. Friday was a day where every age, every ability level found great competition. Wife Karen and I felt fortunate to capture 4th place after almost 12 hours of mixed doubles matches. What a marathon. Son Josh Grubbs and I landed a Bronze medal in the men’s 19+ division. 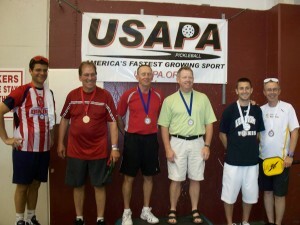 Gary and Bart Ford edged us out for the Silver and Jim Hackenberg and John Wright brought home a much deserved Gold. See all the tournament results here. Talk about a fun time. I understand they are going to do it all over again come September. I would highly recommend putting this one on your tournament schedule. 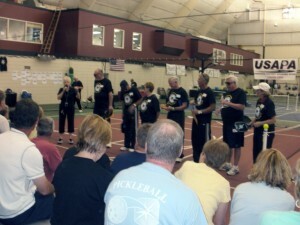 Paul Barksdale and his Terre Haute pickleball team put on another outstanding tournament the weekend of May 14-16. 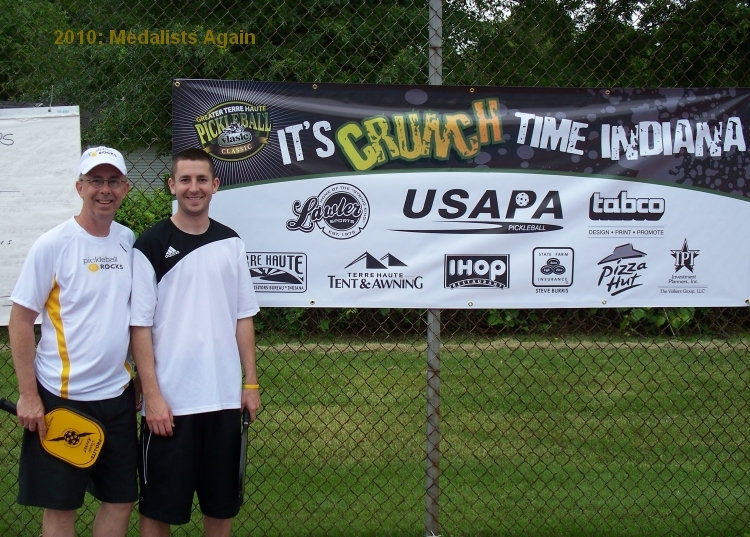 Perfect weather greeted the singles players on Friday night as Josh Grubbs defended his title in the under 50 division, while Josh’s dad, Rodney “Some Call Me Rocket” Grubbs came away with the Gold in the 50-59 group. Pickleball Rocks at CVHS !!! In a closely contested tournament, Chartiers Valley High School in Bridgeville, PA pulled out a 6-5 win over neighboring rival Upper St. Clair High. 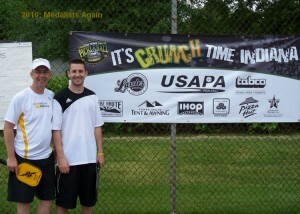 Here are the Grubbs boys, Josh and Zack getting ready for the 2010 Terre Haute Pickleball Tournament. Practicing the Pickleball Dink Even on a rainy day the garage is a great place to practice the all important dink shot. 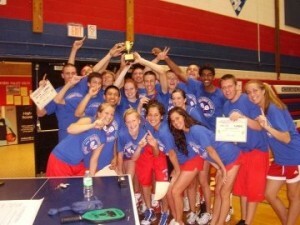 Hope everyone has a great pickleball tournament summer!